Number puzzles are a fun, high interest way for students to practice counting and cardinality. 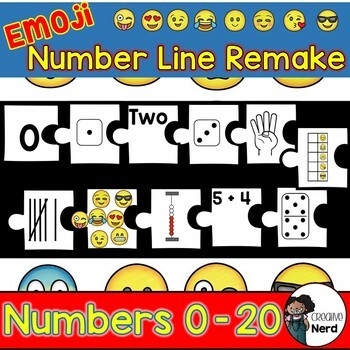 This resource engages your students in ordering numbers from 1 - 20 with the added fun of EMOJIs!!! This activity can be used for learning centers, collaborative learning activities, remedial stations, and/or individual practice. 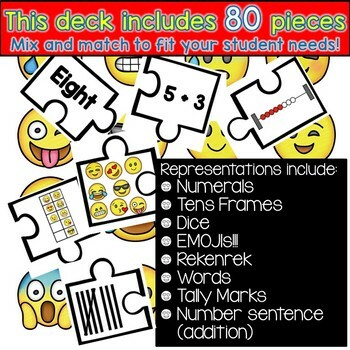 ♦ Check out other Emoji Math Stations! ♦ You may also like our Math Decks ? 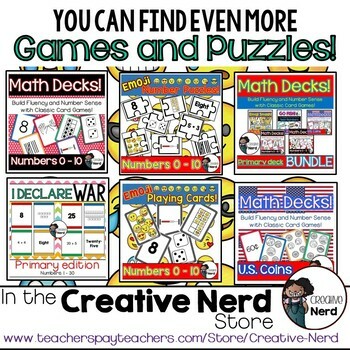 ♦ Check out other great resources in the Creative Nerd Store! u credits you can use towards future purchases! Want to be the first to know about Creative Nerd freebies and product launches?